People often ask if they should include a cover letter with their resume when submitting an application for an advertised vacancy. I believe a good cover letter provides another opportunity for you to convince the recruiter that you are the type of person they should interview. You need to write a new cover letter for every position that you apply for, and in order to write a good cover letter you need to find out as much as you can about the vacancy and the company. Looking at the company website is a good start, but many vacancies listed by recruiting agencies do not disclose the name of the company. However, they show the name and contact details of a person, and you should make a point of calling the contact person before you start your application. Write down a list of questions before you make the call, and choose a quiet location where you will not be interrupted to make the call. Your cover letter should be no longer than one A4 page, using 10-12 point font, and if at all possible it should be personally addressed. At the head of the letter you should provide your name and contact details, together with the name of the employer or contact person, the job title and reference number (if provided), the company name and address. There will be a short opening paragraph indicating that you wish to apply for the advertised vacancy, and a concluding paragraph indicating that you are keen to discuss your suitability for employment in the position. This leaves two or three paragraphs for you to sell yourself. There is no point in summarising your resume in the letter. If you can’t think of something different or special about you and your experience then there is no reason to interview you. Think of your cover letter as an opportunity to write down your elevator pitch. I suggest that in your second paragraph you should indicate why you want the job. Your discussion with the contact person should have given you a more detailed knowledge of the role and responsibilities associated with the position, so you can show the depth of your interest. The third paragraph should highlight how your specialist skills and experience match the requirements for the job. As you are talking about specialist or technical skills, make sure that this paragraph includes key words or phrases relevant to your area of expertise. Try to use this paragraph to show what makes you better than, or different from other applicants. If you need to include another paragraph before your conclusion, use this to emphasise the personal qualities you have demonstrated. You can indicate how you have demonstrated your excellent written and verbal communication skills; how well you have worked as a member of successful teams; and nominate tasks that required highly developed organisational and time management skills. The letter is now ready to attach to your application, but before you take that step please check for spelling or grammatical errors and that you don't have lots of sentences staring with "I". Make sure that everything you have mentioned is factual, and does not conflict with the contents of your resume or your Linkedin profile. Finally, get someone else to check the letter before you send it off. 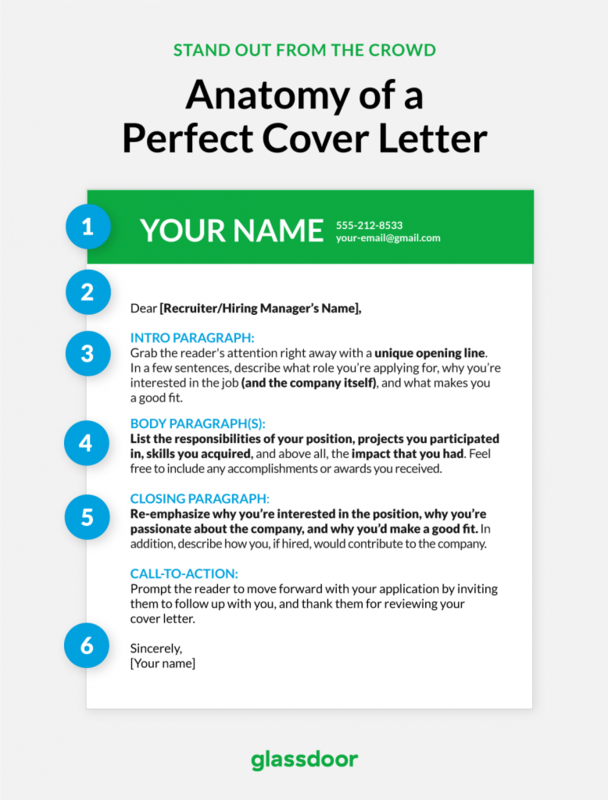 Address your cover letter to the person who will be reading it. Write a personable, inviting opening paragraph that highlights how your skills are a perfect fit to the company and position. Highlight your additional relevant skills, such as computer languages or certifications. 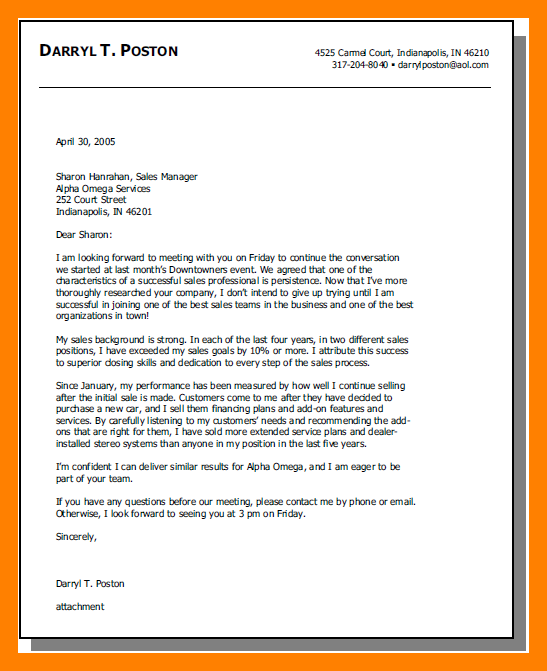 Briefly recap your strengths as a candidate, thank the reader for their time, and include your contact information.